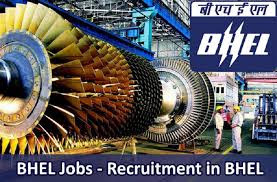 BHEL Trichy Recruitment 2018 Notification has released on official site. Want to apply for it? Now you an check below all details. Candidates should apply online at www.bheltry.co.in. Candidates should also read all instructions given in the link before submitting their applications. Candidates are advised to keep their E-mail IDs & Mobile number active till the completion of this induction. All correspondences will be sent to the registered E-mail ID & mobile numbers. Online application link is available in the BHEL website http:f/www.bheltry.co.in and the last date for submitting the online application is 05.11.2018.